This spring, the Xylem Montecchio team partnered with EarthEcho International, to help inspire young people to play an active role in building a sustainable future while educating local youth on the importance of water quality and water use through the EarthEcho Water Challenge. 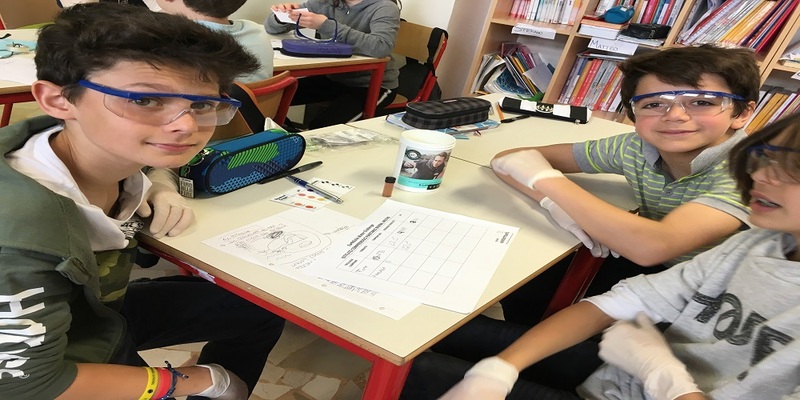 On 22nd March (World Water Day) the Watermark Champions of Xylem Montecchio facility visited the local middle School A. Frank of Montecchio Maggiore for a half day, presenting water facts and helping >120 students to test and analyse water through the EarthEcho monitoring kits. Before the activity a presentation was given to help students understand the importance of water for sustainability, our ecosystems and our future. During the Xylem Watermark “30 Day Make Your Mark Challenge” the Montecchio Watermark Champions went to visit the middle School Berna in Mestre Venice. We gave a presentation to make students aware about water and environment issues, such as water scarcity, pollution and the importance of not wasting water. The presentation was followed by a water monitoring activity in the classrooms in order to test 4 different kind of water: water from the spring, water from the river near the city, water of Venice lagoon and rain water. The science teacher coordinated the activity to help students deeply understand the characteristics of water and the relationship of each kind of water with its environment. After the monitoring activity, the students went to visit the river with the teacher. This year the Xylem brand Lowara has celebrated the 50th Anniversary of its foundation; the celebration took place on 10th June in the historical Villa Cordellina near the Montecchio facility. For this occasion, a Xylem Watermark gazebo hosted Water Challenge monitoring activities for the children of Xylem employees, clients, suppliers that could freely decide to take part in the activity. Children had the opportunity to test different water sources, from a lake and from rivers of our province, and discover how different water could be. This has been another great opportunity for children to learn and have fun. Editor’s Note: We are grateful for the support of our EarthEcho Water Challenge sponsor, Xylem Watermark, and the dedicated Xylem volunteers who engage their community members in monitoring and protecting their local water resources.